We provide innovative solid waste and recycling services for your home and business. 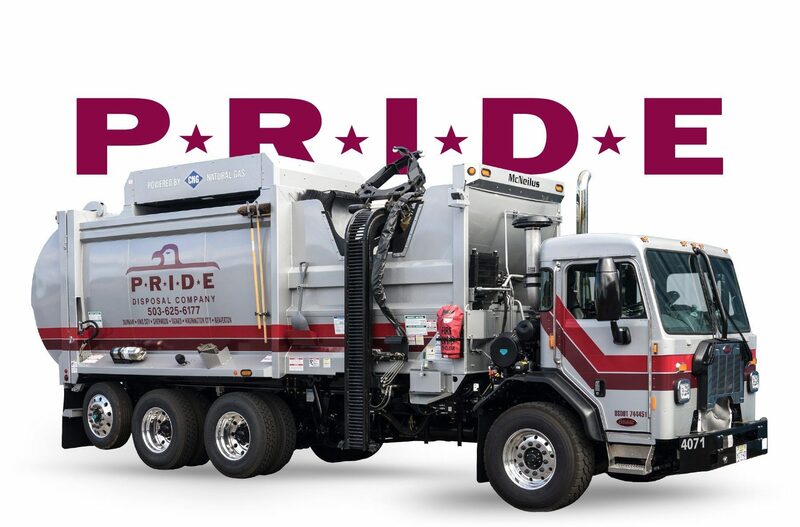 Pride Disposal & Recycling works with Sherwood, Tigard, King City, Beaverton, Durham, Hillsboro, and Washington County communities to create safe, clean neighborhoods, and a sustainable environment for future generations. Go green with paperless billing & easily pay online. Looking for your collection schedule? Search with your account information to see your services. We all want to do better when it comes to improving our neighborhoods and keeping waste out of landfills. Pride Disposal & Recycling makes it easy to understand the dos and don’ts of recycling, so you can stay informed and feel good about your efforts. Pride Disposal continues to be a solid waste industry leader and innovator. And generation after generation, we have remained a family owned and operated business. We care deeply about helping our neighbors and communities thrive, not just because it’s the right thing to do but because we live here too.